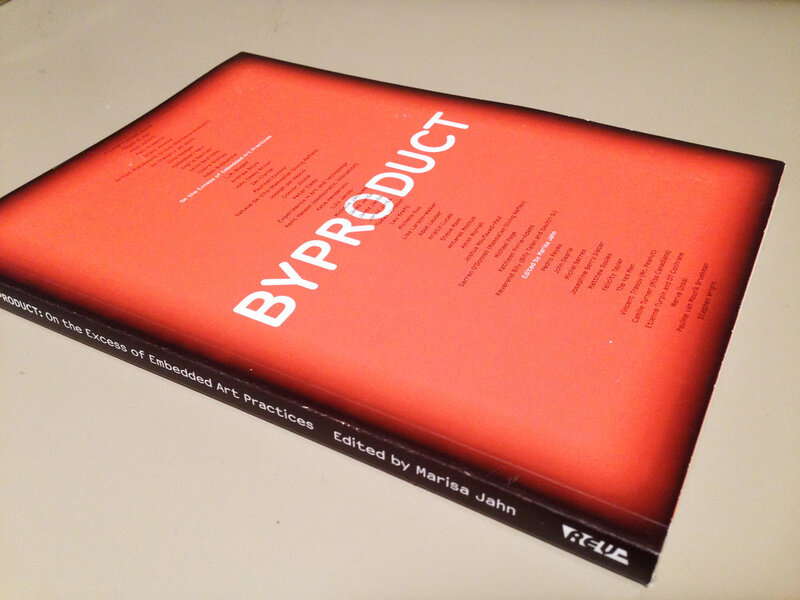 Edited by Marisa Jahn, Byproduct: On the Excess of Embedded Art Practices is a book that examines the work of artists embedded in industries, electoral politics, and other non-art sectors. ISBN: 978-0-920397-51-0. | Order from DAP or Printed Matter. Or, download the PDF for free (note: in the PDF, the flourescent orange text is less legible). L.M. Bogad discusses the tradition of 'electoral guerilla theatre'—or artists running as candidates in political races. Artist Luis Jacob interviews Vincent Trasov, one half of 'Mr. Peanut', the larger than life tap-dancing Planter's Peanut character who received 7% of the vote in his run for mayor of Vancouver in 1974. Architect/artist Pedro Reyes interviews Antanas Mockus, former mayor of Bogotá who hired 420 mimes to work as traffic cops—a gesture so effective it cut traffic-related deaths in half. 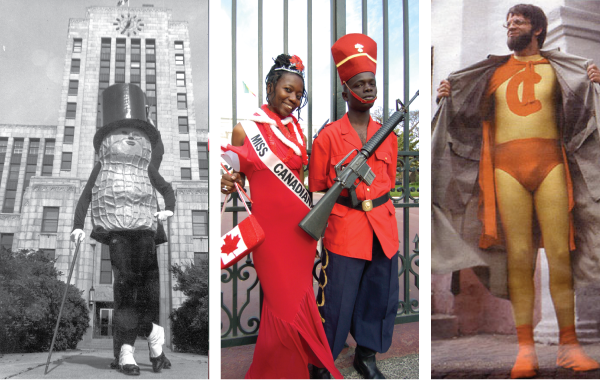 Artist Camille Turner reveals her tricks for creating a beauty pageant winner who now graces the graduation ceremony of Canada’s horse-mounted police. Philosopher Lev Kreft interviews the three Slovenian artists who in 2007, each changed their name to 'Janez Jansa', the centrist prime minister of Slovenia. Artist Kristin Lucas reflects on why she changed her name to Kristin Lucas (same spelling). Philosopher John Searle, examines the role of language in an institution's formation. Claire Bishop, Peter Eleey, and Stephen Wright examine Artist Placement Group, whose work in the 1970s involved placing dozens of artists in corporations and the government. Curator Joseph del Pesco examines A Constructed World's collaboration with 120 employees of a bank. ArtForum critic Michelle Kuo how in the late 1960s, Experiments in Art and Technology (E.A.T.) forged relationships between artists and scientists that influenced technology as we know it today. Philosopher Michel Serres characterizes the parasite's role as alimentary and irritant, hostile and hospitable. The book's introduction, written by Marisa Jahn and L.M. Bogad, reads like a play wherein the footnotes take on a life of their own. No longer passive references reinforcing the pillars of a central narrative, these mischievous agents provoke and tease the stuffy and pretentious Narrator. Designed by Ryan Hines, the book graphically reinforces the subversion of outsider-center/parasite-host binaries in favor of a dynamic system in flux and the byproduct—or artwork—that emerges.